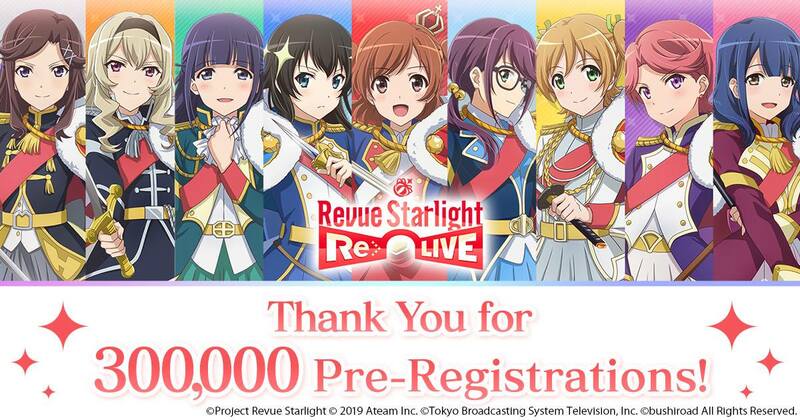 The official Facebook page of Revue Starlight Re LIVE posted on Tuesday that pre-registrations for the game has reached 300,000. The global release of the popular smartphone game of the Revue Starlight franchise was confirmed last week The English release of the game will be available for both Google Play and Apple Store on April 22. Release for the European region is slated on April 30. All players might be given all the 9 Seisho stage girls as rewards and this will be based on the number of pre-registrations. More information on the pre-registeration can be found on the game’s official website (English). The Revue Starlight anime series is currently available for streaming on HIDIVE. Previous The Lily Cat Podcast Episode 4 – A Talk on Covering Events with Jay Agonoy of keepsakes.